I've been at Dunefest in Winchester Bay, Oregon for the week, and have seen all kinds of awesome rigs. However, for obvious reasons, this one caught my eye. 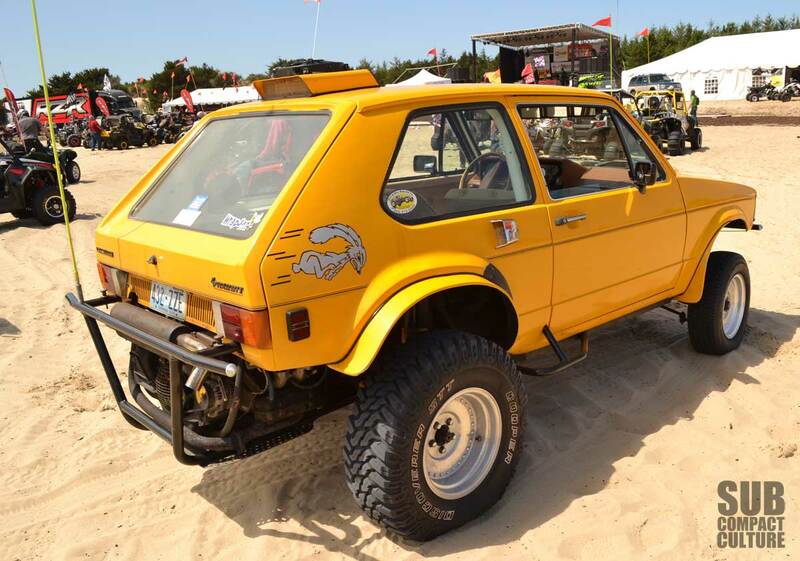 This little sand car is a Volkswagen Rabbit body on a VW Bug chassis. However, this isn't just some clapped together jalopy. The owner said the builder, a baja racer from decades ago (he says he'd be in his 90s now) built sand toy. 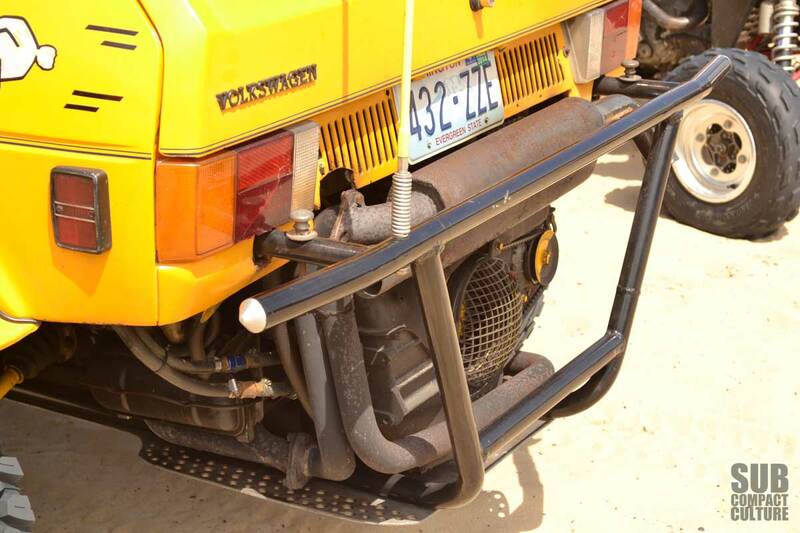 The car is powered not by a little Beetle engine, but by a larger displacement, more powerful Porsche 914 engine. 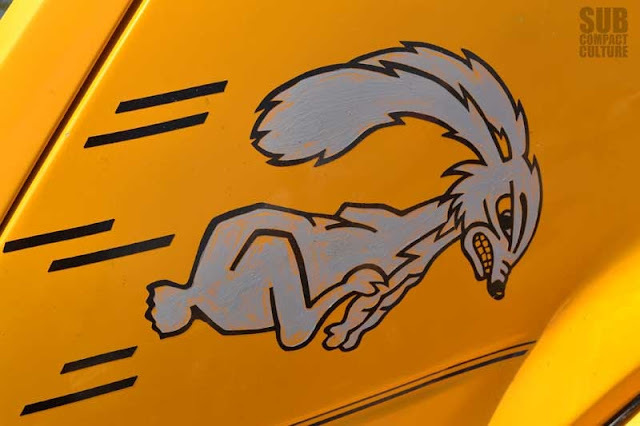 The work is done right, but features many period items, such as twin shocks in the rear, aluminum fenders, and even the rabbit graphic on the back. Riding on Cooper winter tires up front and Discoverers in the rear, this little Rabbit really hops to it. 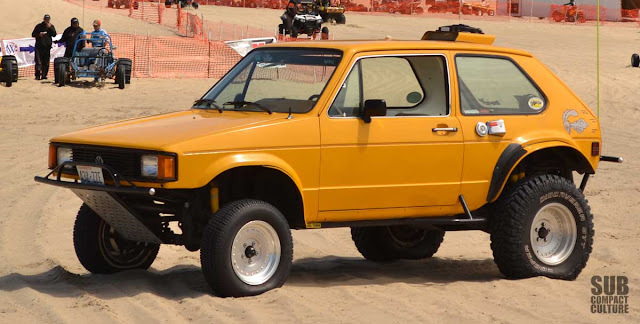 Nice way to put a more modern body on a proven off road chassis.